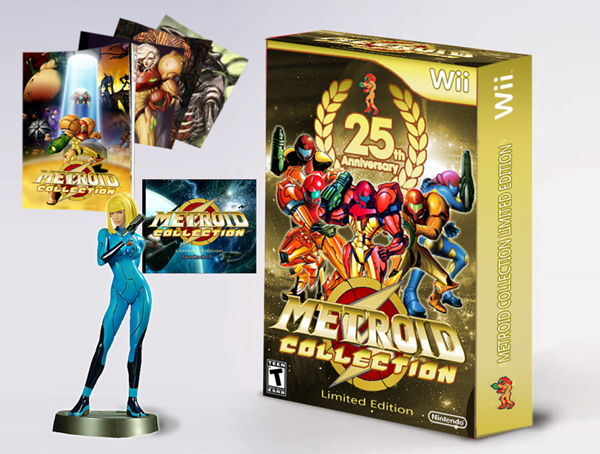 August 6th is Metroid’s 25th Anniversary, and people are already getting ready to celebrate this fantastic series. OCRemix is organizing Harmony of a Hunter to celebrate, with many fine pieces to listen to. This album will release on August 7th through Shinesparkers and the Metroid Database as a free download. I am rather curious to see if Nintendo will do anything special for Samus on her 25th anniversary, but at least loyal fans are willing to contribute to the celebration! They have released two preview videos with samples for the album. I personally love the music from Metroid as it is. The intense series has a lot of music that makes me want to go hunting for space pirates. I’m sure many of you have memorable moments from Metroid. I was first introduced to Samus through the first Super Smash Bros game on the N64. I thought her levels were just plain cool, so my brothers and I tried out the Metroid series and love it still. What do you think Nintendo will do for Metroid? Will it go by unnoticed? I don’t think they will have a new game to help celebrate, but it’s still fun to speculate.